This should be a fun tonight in Ames. West Virginia rolls into town undefeated and ranked sixth nationally. Iowa State is riding momentum after upsetting Oklahoma State on the road last week. A win over a ranked team on the road would cause optimism for any Big 12 schools, but it was the play of true freshman quarterback, Brock Purdy, that has everyone at Iowa State talking. The Arizona high school player of the year last season burst onto the scene last week. He didn’t start, but made the most of his opportunity. Purdy threw for 318 yards, was the Cyclones leading rusher with 84 yards and accounted for five touchdowns. For an offense that had scored 20 or more points just two times this season prior to last week, this new found spark was welcomed. Defensively, the Cyclones have been very good the last two years. In fact, last season, Iowa State shut out West Virginia in the second half in Morgantown. WVU held on for a 20-16 win. In the win against Oklahoma State last week, the Cyclones had a school record 16 tackles for loss, including seven sacks. Oklahoma State remarkably scored 42 points despite being held to a negative yardage play every 4.75 plays during that game. That’s one of the wildest stats you will see this season. West Virginia counters with the best, most experienced quarterback and group of receivers in the Big 12. The concern for the WVU offense lies up front. In each of the last two games, opponents have exploited the interior of the offensive line for West Virginia. Keep an eye on the right guard position tonight. 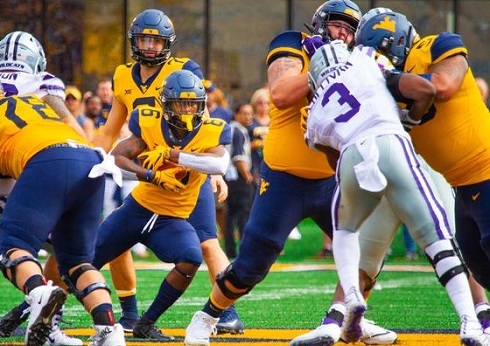 If Joe Brown and Chase Behrndt are back from injury, West Virginia will feel much better about its ability to protect Will Grier and run the football. West Virginia has its work cut out for it tonight. Getting a win in road games in the Big 12 is never a given. Iowa State is 6-0 against the spread versus ranked opponents the last two seasons, so this one figures to be close. West Virginia is walking into a raucous Jack Trice Stadium at night with Iowa State riding high after beating a ranked opponent on the road last week. 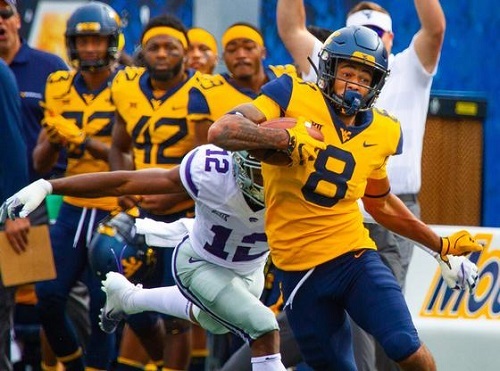 Add in the struggles West Virginia had last year against Iowa State’s defense (ISU observers say this year’s group is better) and you’ve got a game that should provide a great test for the Mountaineers. But, if WVU is elite and a legitimate Big 12 title contender, these are the kind of games you go win. Brock Purdy may be the future of the Big 12 when it comes to quarterbacks. The present is Will Grier. In a league where success is generally dictated by quarterbacks that should be the difference tonight in Ames. *Most observers feel that Brock Purdy will get the start tonight versus WVU. Senior Kyle Kempt was injured in the Cyclones opening game and has not played since. ISU head coach Matt Campbell was coy this week when asked about Kempt’s availability, but it sounds likely that Purdy will get his first career start. NOTE: Our Metronews GAMEDAY radio coverage begins at 4pm today and will take you all the way until 1am. Editor's Note: Photos by Joe McNemar.